We offer three different programs to fit your needs. What Does a Typical Partnership with a CFO include? Listed here are two typical examples of the types of topics chosen. When you create your program you can select any of the topics listed below under "All Topics." Substitute the topics listed above in the samples for any of the topics below. The number of topics to select per quarter differ per program, but any of the following topics can be chosen each quarter regardless of which program you select. Need help selecting? Contact us and we'd be happy to help decide what topics would best fit your needs. Does your income support your lifestyle? How much do you need for emergencies? Are you taking advantage of all tax savings opportunities? 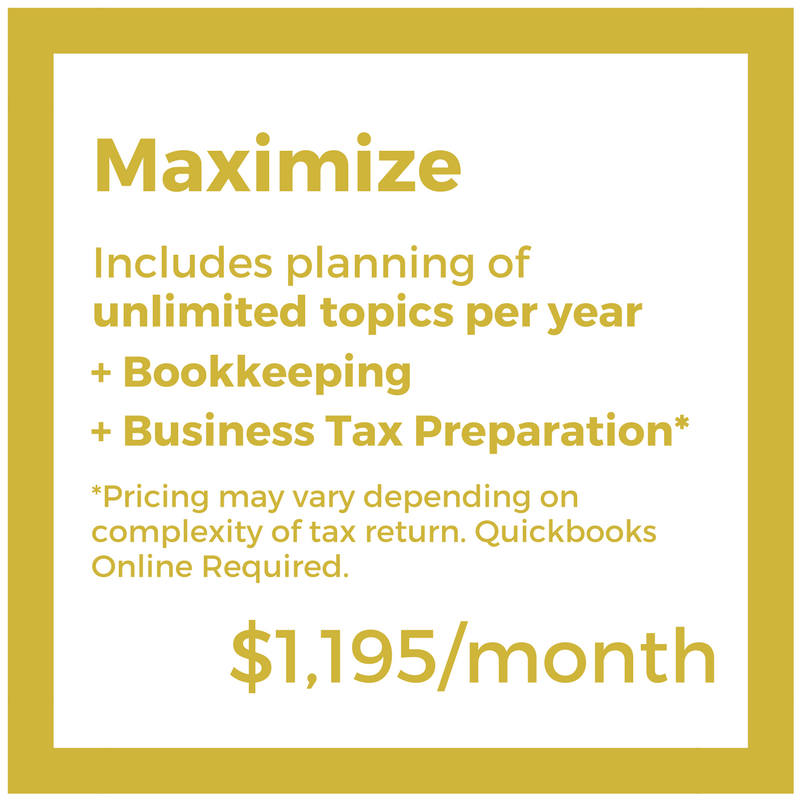 Have you optimized the amount of taxes you're paying? Does tax deferral make sense for you? Do you have the proper software in place for monitoring my cash flow and profitability effectively? Is a SEP IRA or 401k the best option for my practice? How much should you contribute to the plan? Are the underlying costs in line with the value you're receiving? Are you set up under the appropriate business structure? Have you outgrown a Sole Proprietorship? Can you reduce your personal liability and taxes by changing structures? Are you and your family protected should something happen? What documents do you need in place now? Is a 529 Plan right for your situation? Should you purchase office space or continue to lease? Does it make more sense for you to lease or purchase a car? Does it make more sense for you to lease or own your equipment? What is the break-even period on this piece of equipment? How do you prioritize which debt to pay down first? Should you be paying more or saving/investing? 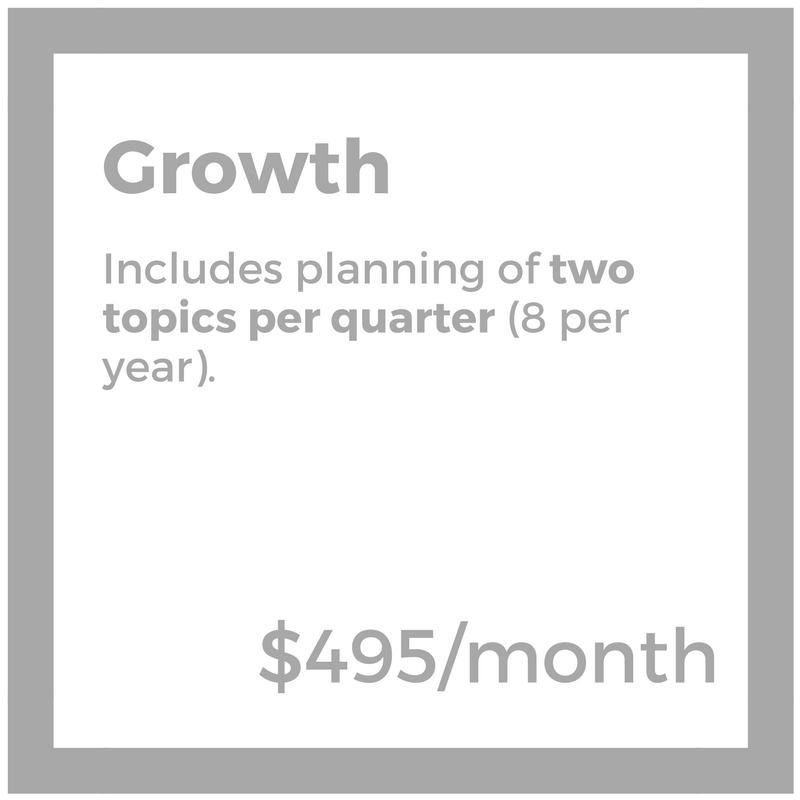 What are your 12 month, 5, 10+ year goals? Are you on track to achieve them? Who holds you accountable for these goals? Does your practice keep the appropriate amount of cash on hand? Do you need to take on debt to help fund a cash shortfall? How do you increase your cash flow? How much insurance is adequate? Should you purchase a term or permanent policy? Are your investments performing adequately? Is your strategy aligned with your goals? Are you taking on too much risk? Not enough? Does an umbrella policy make sense for you? Do you have the proper deductible in place for optimizing your premiums? Does disability insurance make sense for you? Can it be structured in a way that fits my needs and cash flow? Should you take social security at age 62 or wait until age 65 or 70? How can you optimize the amount of social security during your retirement years?